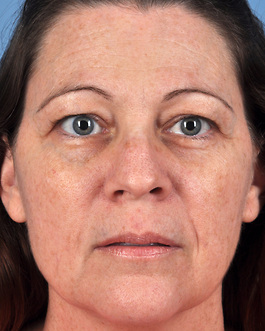 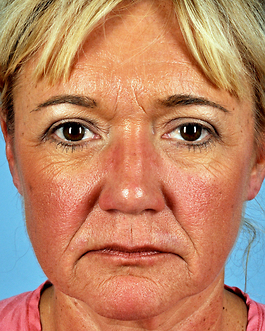 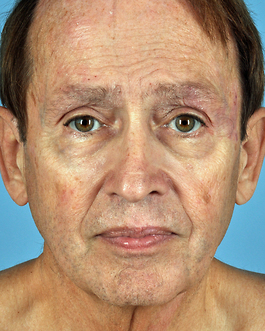 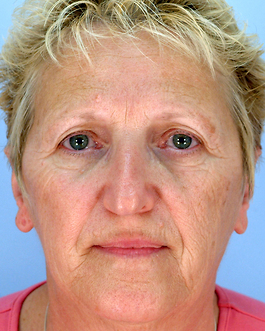 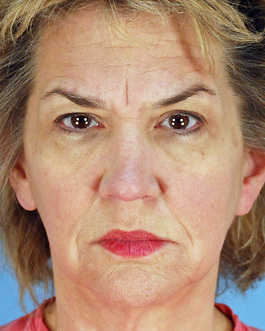 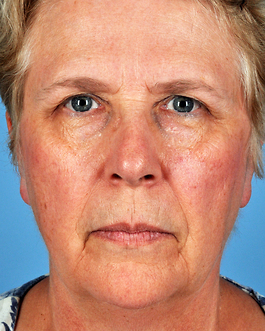 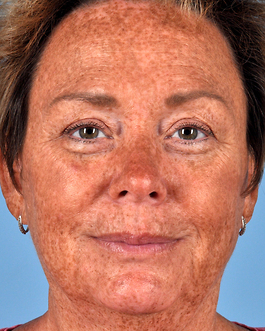 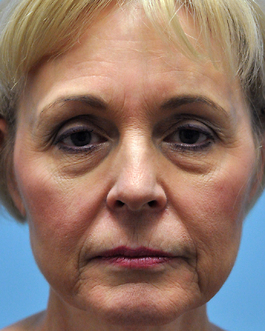 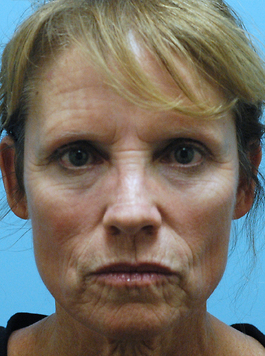 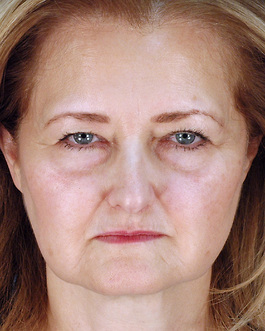 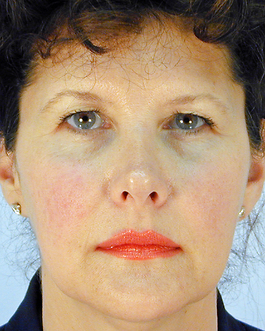 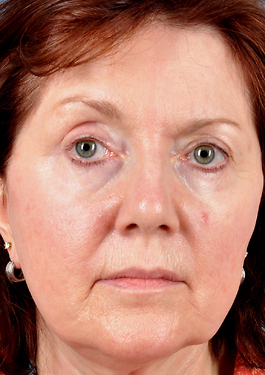 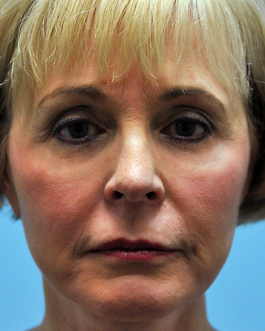 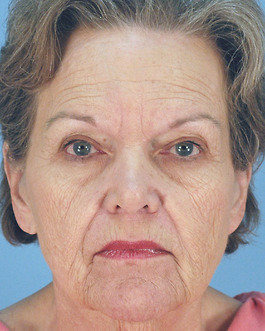 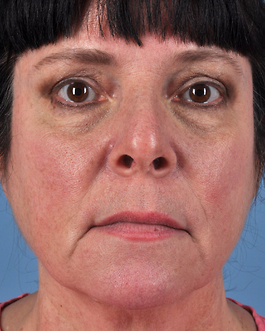 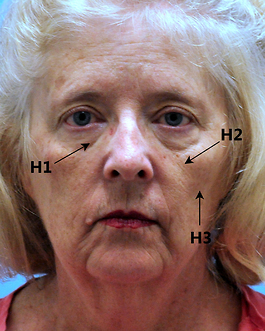 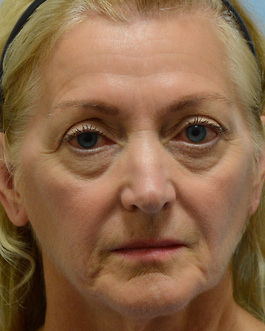 This 65-year-old woman from Williamsburg came to me because she was bothered by the sag of her upper eyelids, cheeks, and neck, as well as the dark circles under her eyes. 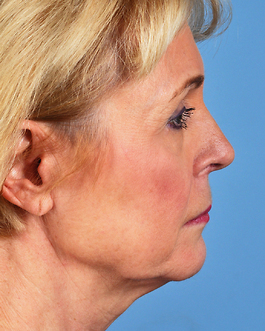 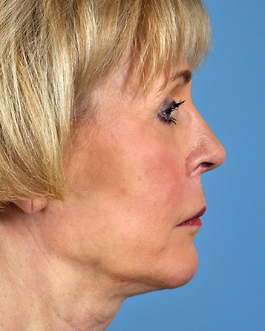 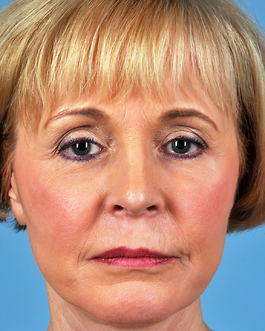 After consulting with me, she chose to have a facelift to address the sagging in her face and neck, combined with a blepharoplasty to address the sagging of her upper and lower eyelids. 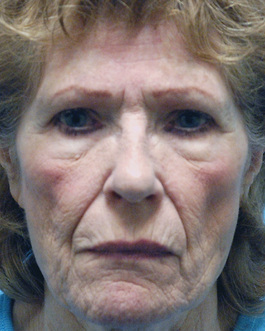 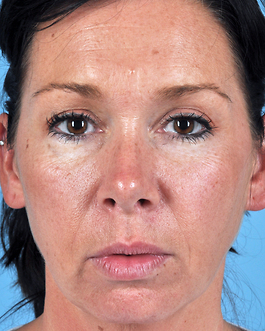 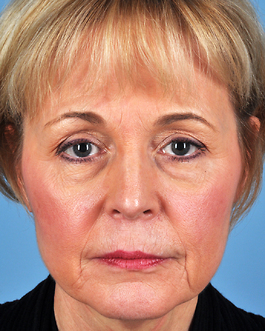 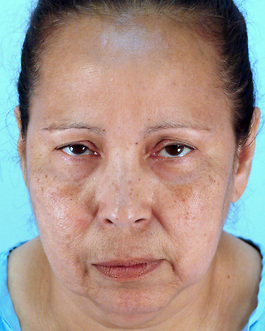 She also chose to supplement the lift procedures with fat injections around her eyes and mouth, which helped fill in wrinkles, reduce the hollowing around her eyes, and give her an overall more firm and youthful appearance. 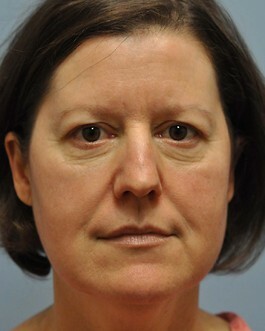 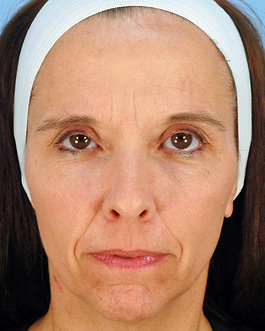 The effects of the eyelid lift combined with fat injections can be seen most dramatically in the set of photos taken without a flash. 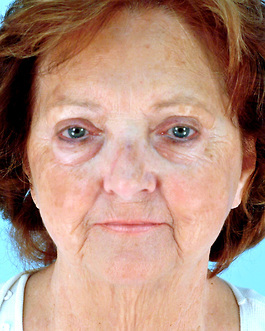 When we do not use a flash to take a picture, facial shadows are more prominent, making it easier to see the 3-dimensional contours of her face.